There basically is not really anything elegant, functional and attractive than a glass entry door right from GlassWorks. We are regarded for having on hand an impressive selection of glass front doors, glass double doors, glass exterior doors and glass entry doors. 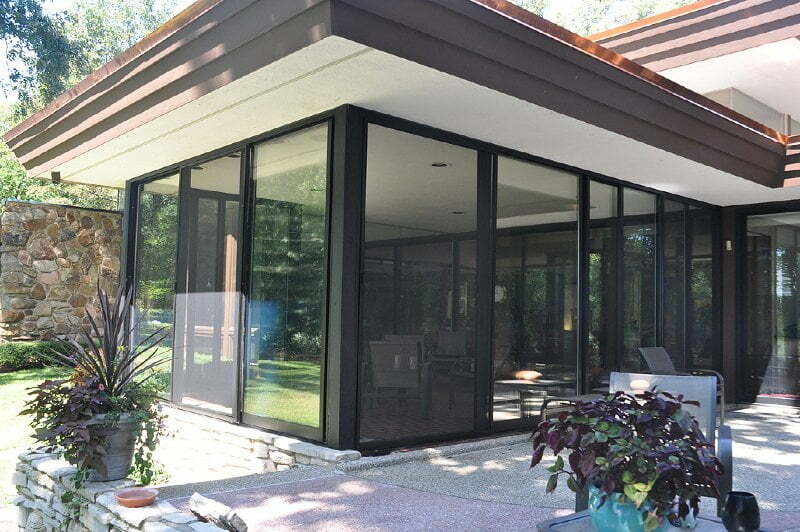 GlassWorks has been satisfying the glass door requirements of valuable customers all through the Greater Chicago Metropolitan Area with top-notch customer service for practically four decades. In addition, GlassWorks has the capability of shipping its amazing glass door products to customers living throughout the United States, Hawaii, Alaska and Puerto Rico. Broadly recognized as the speediest expanding glass company located in the Midwest, GlassWorks is a nationally acknowledged glass specialist. Moreover, we are also a company you can have trust in to accomplish the very best pertaining to setting up the highest-quality glass doors for its clientele. It comes as no surprise that individuals living in Lincolnshire take into account us being a name they can have trust in, with more than 4,000 satisfied customers each year, and we are also regarded as a repeat Angie’s List award recipient! Lincolnshire, Illinois is a village based in Lake County with approximately 7,300 individuals who are residing there. Glenview is where you can discover the home of GlassWorks and is conveniently located just about 12.4 miles southeast of Lincolnshire. Nearly all of our loyal customers in Lincolnshire imagine us as their one-stop-shop in the Chicagoland area for glass exterior doors. Our Lincolnshire clients possess a committed team of staff members from sales persons to project managers, technicians and fabricators who are focused to giving your glass door specifications. We are well known for developing, fabricating and installing the most ideal glass doors and other glass products for our clientele in Lincolnshire that are built to the greatest standards in the industry. Not only do we provide a number of the most exceptional glass double doors and glass entry doors for Lincolnshire residents, but in the spring season of 2014, GlassWorks obtained a request of a life time. GlassWorks was handed an invitation to 1600 Pennsylvania Avenue, often referred to as the residence of the First Family, to design and style, fabricate and set up a display system to be utilized in the White House. Because of this, we are now capable of add another name of a happy, and very distinguished, client to our list of several pleased customers! Additionally, GlassWorks is an identified head in architectural glass. Consequently, why would anyone ever take into consideration going just about anywhere else for their glass exterior doors? You always can count on our superb project managers and fabricators to not only fulfill your expectations, but GlassWorks will in all odds meet or exceed your anticipations! Regardless if you are arranging the addition of a glass double door, a glass entry door, glass exterior doors or glass front doors, GlassWorks can handle it for you both swiftly and inexpensively! For additional information about a glass door directly from GlassWorks, contact us now at (312) 337-2300 (Chicago), (847) 729-5580 (North), (630) 355-6363 (West/South) or (866) 452-7925 (Nationwide). We will furnish you with a one-year warranty on all of our glass products and installation, as well as the manufacturers’ warranties.